Someone once told me once that money cannot buy happiness, but it can buy you freedom. It is never too early in any household to start talking about money with your spouse, significant other or financial planner. Seeing that August is “Money” month at the firm, I felt it would be fitting to take on the topic head on and specifically look at the economics behind cash flow in our households and some of the common challenges that come with it. Cash flow is defined as the net amount of cash that moves in and out of a home or business during a given period. Positive cash flow would indicate that there is a savings at the end of the month. Conversely, negative cash flow indicates that assets are decreasing. Household’s with negative cash flow often times have to rely on a debt, like credit cards or personal loans, to cover costs. Everyone struggles with keeping a positive cash flow. I am often told by clients that they have a savings issue and are, sometimes, not able to make ends meet. My response - there is no such thing. Often times it is a spending challenge, not a savings issue that is not allowing you to obtain a positive cash flow. Spending is one of the top five money problems that Americans face today. Nearly 35% of families have trouble comfortably paying regular financial obligations, like rent, bills, and mortgage payments. So many just want to be able to have enough cash flow to live a comfortable lifestyle and put some extra savings away for retirement. In the past this was all part of the American Dream, yet today we as a society struggle. Let’s look at a few reasons why. One of the main factors preventing many from achieving positive cash flow is the lack of wage growth since 1973. 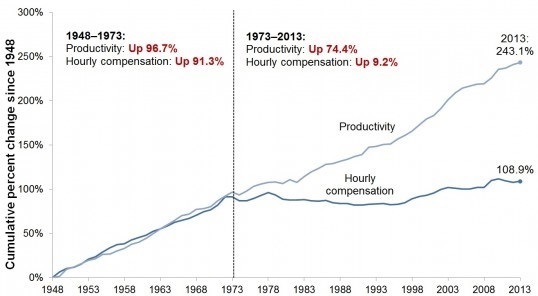 As highlighted in the chart above, although productivity has risen, wages have not kept up. This translates into to less money for more work. This, of course, has an adverse effect on our goal of achieving a positive cash flow, not to mention growing the divide of income inequality. These annual economic statistics however, often cloud what all of us contend with on a daily basis and offer no real solution to the cash flow crunch that many face. In today’s ever-changing economy, this has become a greater challenge than in years past. In fact, a recent Harvard Business study suggested that after monitoring over 235 households, that there could be as much as a 25% variance (up or down) in household incomes any given year. Today, major parts of a wage earner’s annual income are tips, commissions and bonuses. . In addition to income variability, expenses also vary widely month to month. These could include, but are not limited to, unforeseen medical expenses, education, transportation or perhaps even that leaky roof that’s needs replacing. All of these factors, on top of the stagnation of wages, all make achieving a positive cash flow even more challenging. For businesses, cash flow strains are always a discussion in the boardroom, but unlike our households, they often have tools at their disposal to offset these cash crunches that are not available to you and me. A more diversified balance sheet, expanded access to credit and financing all help businesses build their working capital reserves. So what can we as individuals take from the playbook of companies to achieve a positive cash flow in our homes? A few key strategies to think about are controlling your spending. Although we all know that we should be saving more, sometimes it makes sense (short term) to reduce what you are saving temporally to improve your cash flow position. A budget can always assist with this. Another option is to constantly be reviewing your “good’ debt, such as your mortgage. Although interest rates are on the rise, there is still some opportunity to potentially reduce your mortgage costs to free up some cash. Lastly, like a business that prices their goods and services appropriately, you, as a wage earner, also need to price your labor appropriately. At your next review, highlight to your employer the contributions that you have made to boost the overall success of your firm. Employers are always willing to listen how you have increased the bottom line and hopefully they will reward you for doing so. To work through other ways to improve your situation, have a look at this helpful checklist. 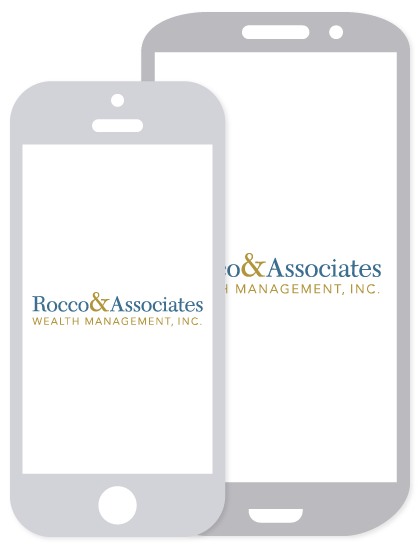 We provide tools to our clients that can also help track spending habits and identify areas where cuts can be made. If you or anyone you know is struggling, give us a call, we can help. Until next time, keep the faith!